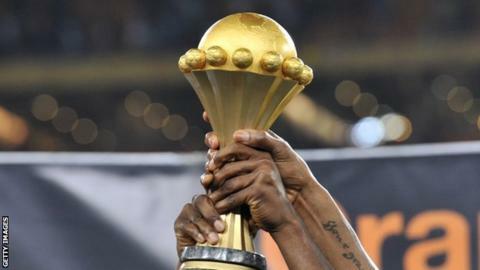 The Confederation of African Football has reiterated it will not move the 2015 Africa Cup of Nations from January and has given Morocco until Saturday to decide if they will host as scheduled. Morocco want a postponement because of fears over the Ebola outbreak. Caf has asked Morocco to "clarify their position" by 8 November - a deadline also given to any countries who may want to step in as replacement hosts. The governing body says a final decision will be made on 11 November. After a meeting in Rabat on Monday, Caf tweeted that it was "unanimous on keeping competition on the dates; namely from January 17 to February 8, 2015", adding that Morocco has been asked "to clarify its final position not later than 8 November". Caf also said it would convene again "on 11 November in Cairo, Egypt to take the necessary decisions" on the finals. The meeting in Rabat was fixed last month when Morocco asked Caf to postpone the tournament after being advised by its own health ministry that hosting the 16-team tournament posed a risk of the spread of the deadly virus, which has killed about 5,000 people - mostly in Africa. Caf immediately rejected the notion, insisting the three-week tournament go ahead as scheduled. Anticipating the possibility Morocco's government would stand firm, Caf have since asked seven countries if they might be able to step in as emergency hosts at short notice. Last month Caf stridently declared they were not interested in changing the dates of the event. "It should be noted that since the first edition in 1957, no Africa Cup of Nations has ever been a postponed or deferred," a statement from the Cairo-based organisation said last month after news of Morocco's request first broke. There have been no cases of Ebola infection in Morocco and only one country where the deadly virus has taken hold has any chance of qualifying for the finals. Ironically, Guinea were granted permission by Moroccan authorities to use Casablanca to host two of their Nations Cup qualifiers in September and last month, after Caf banned them from hosting games at home. They are among three west African countries banned from hosting any football games. The World Health Organization said on Friday "intense transmission continues in Guinea, Liberia and Sierra Leone".